Though now hailed as one of the greatest Finnish composers of her generation, Kaija Saariaho readily recalls a time at the Sibelius Academy when male teachers balked at teaching a “pretty girl,” claiming it was a waste of their time. 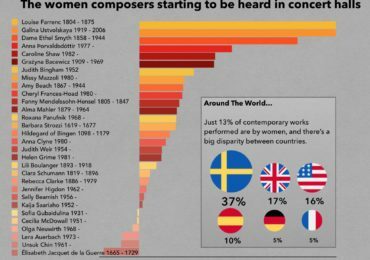 But Saariaho, who as a child would ask her mother to “turn off” the music she perpetually heard in her head so she could sleep at night, stubbornly persevered as the only woman in composition classes. Flash forward some 25 years to the dawn of a new century: The New York Times dubbed her opera’s newest rock star after the triumphant 2000 Salzburg Festival premiere of her first opera L’Amour de Loin, directed by Peter Sellars and starring Dawn Upshaw. Saariaho took a somewhat unlikely path to that point, as much of her pre-millennial catalogue was comprised of timbre-rich chamber orchestrations that combined live music by and electronics. Influenced early in her studies by post-serialism, she ultimately found it too restrictive and turned to the French spectralists for inspiration for her dreamy sonic imagings. 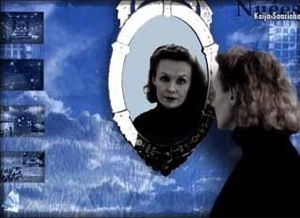 As The Guardian‘s Tom Service wrote, “To journey into Saariaho’s music is to be confronted with the darkest and most dazzling dimensions of your subconscious, and glimpses of the existential journeys she has made to find these pieces.” Nymphéa (1987), commissioned by Lincoln Center and premiered by the Kronos Quartet and Petals (1988), for cello and electronics, are prime examples of this spectral period. The latter can be downloaded for free here. Boosted by a spate of commissions, Saariaho’s work began to appear more frequently in concert halls and with some regularity on recordings in the early 1990s. She began working with major artists and groups, such as Gidon Kremer (Graal Théâtre), the Finnish National Ballet (The Earth) and the aforementioned Upshaw (Château de L’âme). By the late 1990s Saariaho expanded beyond electronics, often writing solely for acoustic instruments, and focusing increasingly on melody. And she returned to an earlier calling, the visual arts, with her renewed focus on staged, theatrical events, saying “I always imagined music through light. My music is all about color and light, and this is what led me to the stage.” The Opera National de Paris commissioned a second opera, Adriana Mater (2006) and a third opera, Émilie, based on the life and writings of mathematician and physicist Émilie du Châtelet premiered in France in 2010. Below is an excerpt from L’Amour de Loin, featuring soprano Upshaw, that propelled Saariaho’s ‘overnight’ success.